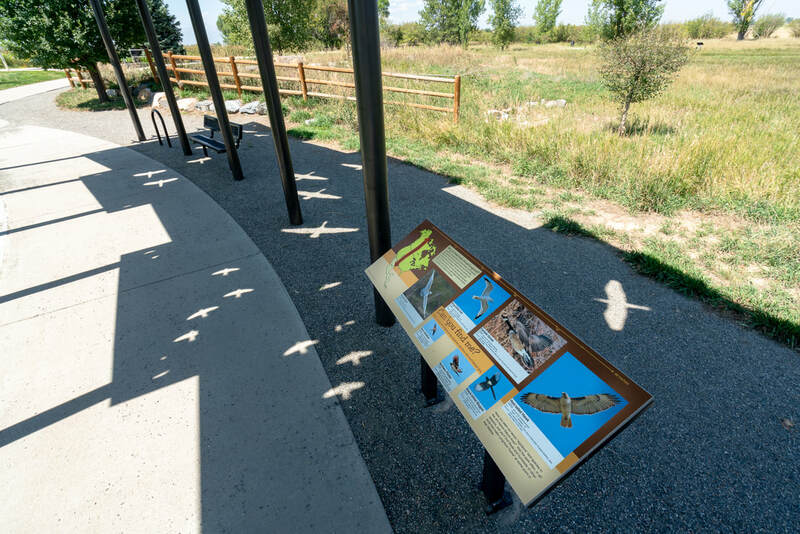 The Jim Hamm Nature Area was donated in 1974 by the Hamm family in memory of USAF Captain Jim Hamm, who was shot down over Vietnam in 1968, and to honor all St. Vrain Valley Veterans who fought in that war. The 14 acre pond on site is a designated bird sanctuary that provides food and shelter for a variety of waterfowl throughout the year. The water level fluctuates by season and year, influencing the kind and number of birds that use the pond. 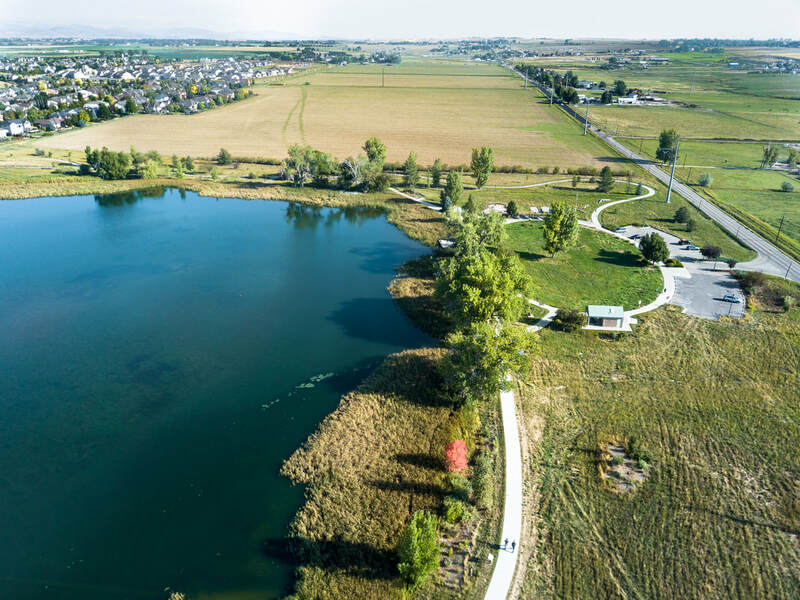 The foothills Audubon Society has conducted several bird counts at the pond over the years and as many as 80 different bird species have been spotted. 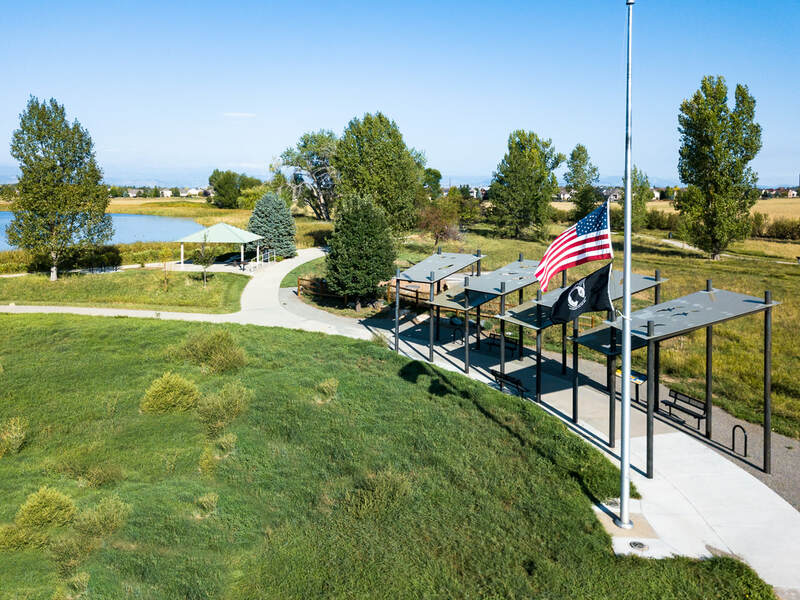 The park is used by the St. Vrain Valley School District for environmental learning projects and the VFW and American Legion for Memorial and Veterans Day events. The scope of work included expanding various trails throughout the park; addition of a bird blind area, ‘bird pergola’, ‘missing man’ sculpture, and observation deck; parking lot expansion; nature play area; earthwork; and landscape enhancements. The ‘bird pergola’ is a completely custom-designed pergola that features roof cut-outs of bird species common to the park. The ‘missing man’ sculpture is integrated into the pergola and commemorates the service of Mr. Hamm. Confluent Design helped the City identify low cost improvements to increase shoreline diversity, during pond dredging operations, that improved the ecological health of the pond. Additionally, Confluent Design successfully encouraged the City to utilize native planting design, remove invasive Russian Olive trees, and establish a substantial weed management specification as part of this contract.